A fine textured, upright spreading, small tree. 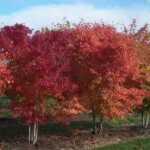 It is faster growing and more adaptable than the many grafted cultivars. 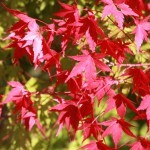 This tree will color in the fall to beautiful reds, oranges, and yellows. Prefers afternoon shade, and moist, well-drained soil. Avoid hot, dry sites for best performance. Frequently both as a low branched or multi-stem tree.